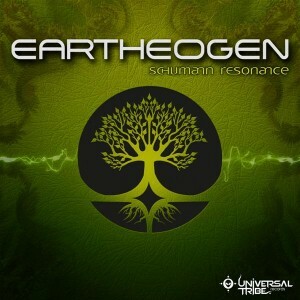 Universal Tribe Records presents Schumann Resonance, the debut release from Eartheogen (Phil Patrick), a psytrance project from New Zealand. The groovy, earthy, playful, and often eerie vibe of his multi-layered sound engenders feelings of depth and knowing. This is just the beginning of a wealth of communications from Eartheogen to be channeled into sound. Stay tuned! Artwork by Andy Thomas, mastering by The Humble Grove. MP3 Download | FLAC Download | WAV Download · Download count: 8,587. Good album, but tags here are wrong. Shouldn’t it be tagged with PsyDub? @ekto&co Thanks for the album, and for everything! @ pyc – Nope. This is progressive. Psydub is usually much slower and more ambient.. Such an epic release. Mad funky grooves and deep baseline’s. Yes yes! amazing style here, totally love this! Loving this release! Very balanced approach and top quality! Love it…I just cant vote on it for some reason. Loving track 2! Big ups to you, man.